Take part in our Top Vietnam Tours & Holiday Packages to truly experience our country’s charming country and enjoy our best services with treasure picturesque landscapes, friendly people, fascinating history, rich culture and custom, great works of ancient architecture, Vietnam is among attractive destinations of the world. Explore scenic beauty along the country of Vietnam. Discover several ancient heritage sites in Vietnam: Hanoi Old Quarter, Hoi An Ancient Town, the Citadel of Hue. Have leisure time in spectacular places: picturesque countryside, amazing landscapes, wonderful beaches and islands. Understanding the long history of Vietnam. Enjoy traditional poetry and romance on the Perfume and the Saigon River. An enjoyable holiday through the whole country of Vietnam from the North to the South. 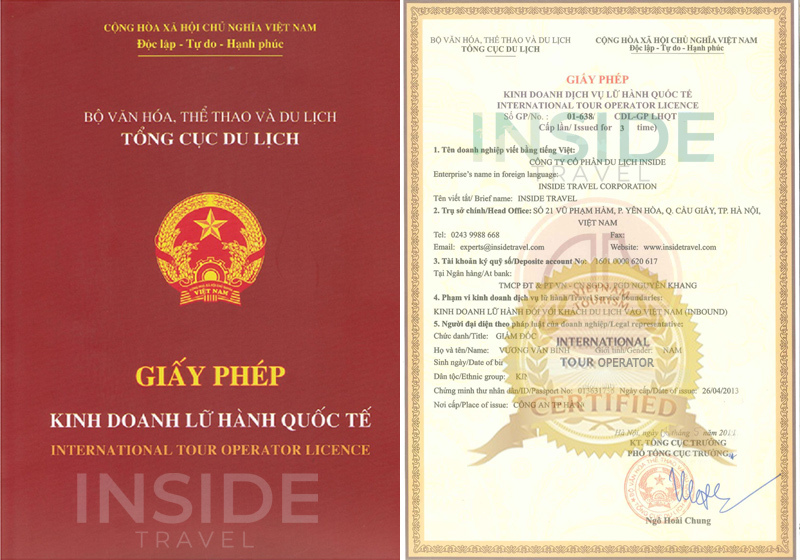 A pleasant journey visiting a lot of notable key attractions of Vietnam like Hanoi, Halong Bay, Hoi An, Ho Chi Minh City, etc. A wide variety of carefully chosen beauty spots ranging from natural (Halong Bay) to the manmade ones (Ho Chi Minh Complex, War Remnants Museum); from the traditional places (the Old Town of Hoi An) to the modern ones (Ben Thanh Market), etc. Great experience of truly authentic values: Vietnamese finest cuisines, delicious foods and typical lifestyle. Better knowledge about the country, nature, history and people of Vietnam. Exotic feelings of encountering new things as buffalo riding, kayaking, and farming.